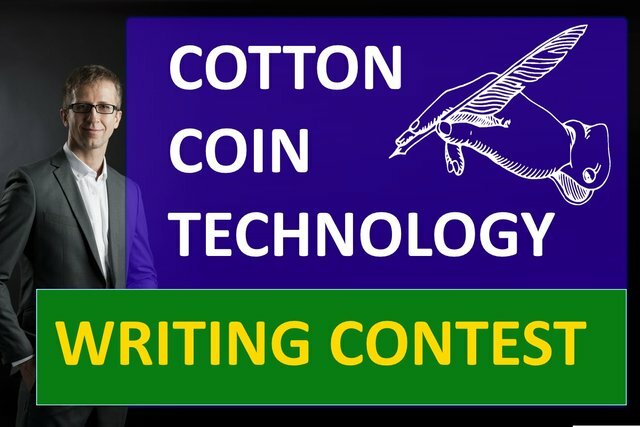 Cotton Coin Technology - MY FIRST SPONSORED REVIEW WRITTING CONTEST (130 usd in rewards pool). For the past few months now I've been learning about crypto, getting to know valuable people on steemit, supporting some of them and helping this community to grow bigger. Many of you know me quite well already and thanks to your constant support I've managed to build a solid reach and engagement on Steemit. How did it start? Recently a friend of mine (developer) introduced me to one of his client: Cotton Coin Technology. I've full reason to believe that this is a legitimate project, and decided to collaborate with them. I hope to become their social media marketer / community manager as it would allow me to gain extra experience as well as allow us to create some sort of healthy business relationship. I need to make a solid impression on the CEO of Cotton Coin so my success depends mostly on your support during this contest. 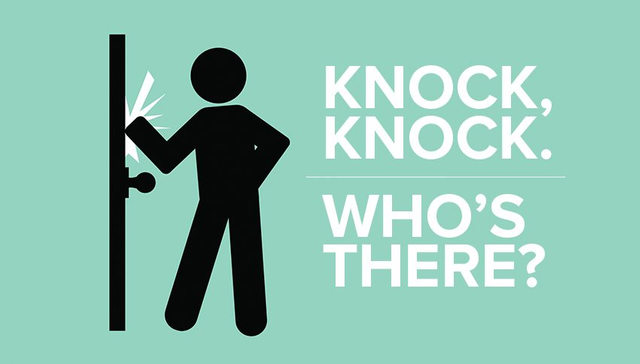 Every entry counts! I really like the idea behind this project, I know it’s legitimate and their token has usability. But what they need is extra exposure because so far there isn’t that much information available online about them, including goals and plans. 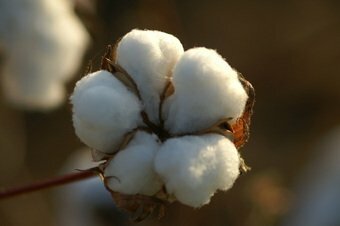 Please create your own article (minimum 200 words long) about this project: how Cotton Coin is able to disrupt and improve the cotton industry around the world. Helping both farmers and their customers. What is the aim of this project, what their goals are and how do they want to achieve them. 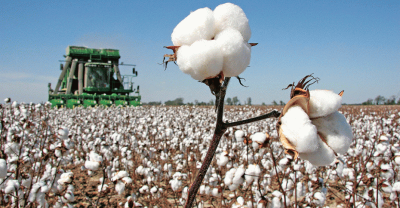 Why does the cotton industry need blockchain and how can this industry benefit? What are some of the problems Cotton Coin are trying to solve? And how do they want to achieve that? How does it improve trust with consumers, retailers and authorities? Please provide some interesting examples of Cotton Coin in action. What can be a use case to illustrate how poor cotton farmers be helped by blockchain technology and the Cotton Coin project? What benefits can Cotton Coin bring to the world cotton industry specially the third world countries. How the Cotton Coin introduce transparency and improve the supply chain in the cotton industry. How the cotton coin can be used to bridge the gap between the buyer and the producer of cotton. How can Cotton Coin be used to ensure that the cotton farmers and producers be paid the correct buy price and get paid in a timely manner. In what ways can integrating the cotton supply line with blockchain technology impact the overall industry. How to join / participate? Post a link as a reply to this contest. I will personally confirm and I will make sure to drop a comment in your article. 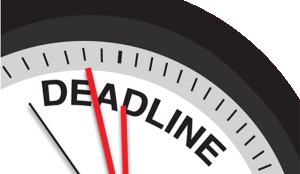 - all posts must be submitted until the end of the month of JUNE 2018 (including last day). Additional info: Please include link to www.cottonco.in in your article at least once. Upvote/Resteem Most contests held are strongly requesting to resteem their posts. I never liked it. So please only upvote or resteem it if you feel that you want to support what I do here (I will be grateful from the bottom of my heart). Winners announcement: Winners will be announced following weekend on Saturday 07/07/2018. Plus, for each entry I will additionally allocate 1 SBD and the collected funds will be transferred as a charity support to @crypto.charity (more about it in section “support Venezuela”). 2 SBD as an additional prize will be given to best writers if they will post their review also on at least one of platforms (either busy.org, medium.com, yours.org or minds.org etc). I admire people like @cryptoeater or @reinaldoverdu because they are showing us the way we could all use Steemit to help those in needs. And Venezuela is full of people in need. @cryptoeater have created @crypto.charity which aims to raise funds and support Venezuelian community on Steemit. Congratulations on your first sponsor, I'm sure it's just the beginning of great things to come for you. May you be very successful in this project, my friend. Greetings and thanks for taking Venezuelans into account! I am new to this but I am encouraged by the new concepts and learning new things. @crypto.piotr you are really providing amazing stuff of Crypto Currency. It will be great to learn with you. That's the spirit you need to compete, I hope I can read your entry! I wouldn't miss it for the world, man! Thank you for joining my contest and resteeming this post. Just next time perhaps it's best if you wont use originalworks tag. They may not be happy about using it for someones else contests. This is my first time organizing sponsored contest and if anyone would have any valuable feedback then please comment below or send me an email. I always read all comments and Im doing my best to reply to everyone. Many of you know me already and are aware that my goal is to support growth of steemit community (related mostly to crypto and blockchain tech) and make sure that we grow together. I've achieved already so much thanks to your support end engagement. I am really beginning to like you @crypto.piotr and as you know well I enjoy writing and will think of something worthy of this cotton coin. Right now I will take your advice and enjoy the rest of my Sunday afternoon. if you would ever like to keep in touch and support each other closer, then drop me a message promib.pl@gmail.com. This will allow us to communicate easier. did you have a chance to read my previous message? So I spent the afternoon reading about your project. It is a noble project and I hope you guys will be given a chance. Considering the Indian government I know you have a lot of obstacles. However I did my best to make a heart moving informative post to promote cotton coin. It is a very serious matter and solemn story so I had no choice but to write it in the light of humor. I agree with your CEOs vision and would like to see your coin implemented in the cotton industry. I live in Seoul Korea but have dear friends in Chenai and Dehli. The government is stirring up local groups against each other to force centralize authority under their eyes. I'm originally from the US and glad to meet you. How is south korea treating you? Woodstock doing the ice run is always welcome. Thank you for your support and I hope that you can join my contest and write your own review about Cotton Coin. Cotton Coin has just launched an airdrop program where you can easily earn more than 10 FREE Cotton Coins. Click https://t.me/cottoncoinbot now to join! (or find @cottoncoinbot directly on telegram). Thank you so much for showing your support and participating in my little contest. You're the man.! 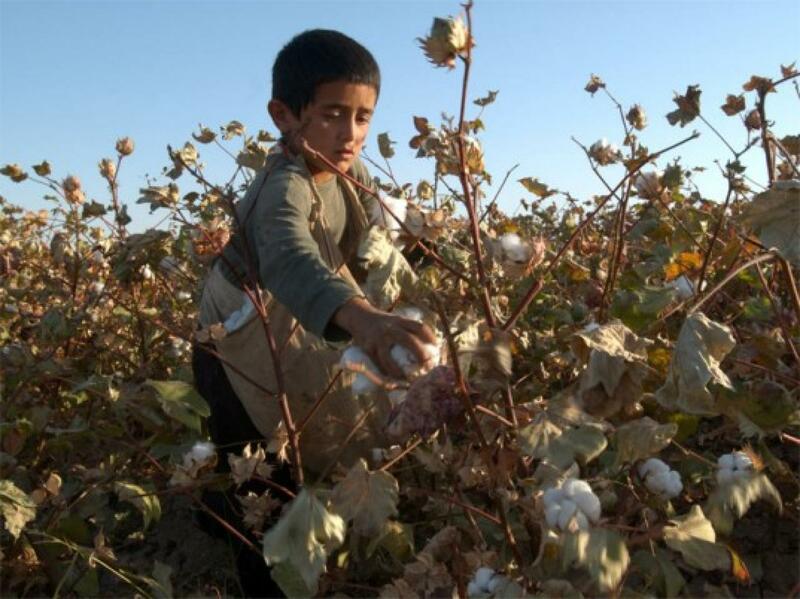 "(IJCH) Cotton Coin - Disrupting the Global Cotton Industry (BUT MORE IMPORTANTLY, Cotton Coin Aims to Alleviate the Horrible Plight of Third World Cotton Workers"
Good karma to you, my friend. Thank you for resteeming and your constant support my friend. And I apologize for my severely emaciated upvote status. Let me know if this is good. I just had a chance to look at your entry and my only suggestion is to add some photo to your post. That would make it visually more attractive. Let me edit it and add photos. So that it looks a little better. Man, whoever you are, or whoever it is that is responsible for this bot, you've done a great job. Everytime i read a post from you, there is a smile on my face. Hello Friend! I think the initiative that you have through the platform is excellent, but above all I support the noble cause that Venezuelans are having with us. Everyone knows what we are going through and it is gratifying to know that there are people who are interested in helping us in one way or another with their sincere intentions. I appreciate it a lot. I am a young student of 21 years to graduate from industrial relations, I live in Maracay state Aragua. It is a very beautiful city in which I have lived all my life, however, it has become increasingly difficult to be young here. But I have faith that with the help of God and working hard we will be able to get ahead and be victorious with this terrible moment. Im glad to hear such a kind words. 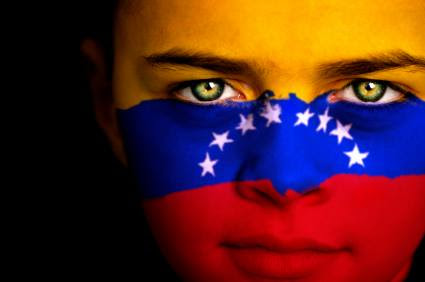 Indeed you're going through very hard time and I can only hope that Venezuela will recover during our lifetime. It's going to be long process of healing wounds. Im glad you've joined my little contest. I appreciate your time and I love the fact that you decided to support me and resteem my post. Thank you @resuscitate for joining my little contest and resteeming my post. I've noticed that your reputation is very low. Did someone downvoted you lately? Yes. I made some posts without linking to the source. Anyway, I've learnt in a hard way to always include the source to any information that isn't originally mine. And I presume you got punished by some whale without even receiving a warning @resuscitate? Im sorry to hear that buddy. Congratulations! This post has been upvoted from the communal account, @minnowsupport, by forykw from the Minnow Support Project. It's a witness project run by aggroed, ausbitbank, teamsteem, theprophet0, someguy123, neoxian, followbtcnews, and netuoso. The goal is to help Steemit grow by supporting Minnows. Please find us at the Peace, Abundance, and Liberty Network (PALnet) Discord Channel. It's a completely public and open space to all members of the Steemit community who voluntarily choose to be there. Thank you not only for joining this little contest but also for resteeming my post. That's very kind of you. I approached the subject a bit in a different way that can illustrate very well why such a project could be really useful for the people working in the cotton and the textile industry. I can tell that you're crazy about world cup :) who is your fav team? Here I leave my input and collaboration in support with my Venezuelan family I am Venezuelan and I am here facing all this situation with faith and positive mind that everything will be fine at some time and on this topic and project that offers cotton coin technology this super great and it comes with a proposal. Thank you @opiman for taking the time to participate in my little contest. I really appreciate it. Im sorry to hear that you and your family suffer so badly. Thank you for your review @tornadoman. Thank you @hasantpq01349 for not only joining contest but also resteeming my post. I very much appreciate. Thank you @jodekss for taking the time to participate in my little contest. I really appreciate it. Thank you @jojon for taking the time to participate in my little contest. I really appreciate it. I very appreciate your time and effort. Im well aware that you're not native english speaker (funny enough, neither am I). I've noticed that you also resteemet my post. You're the man! Well, I like to support those who support me to have a better life, which is what I need so much, maybe luck would smile on me, I'm optimistic. the language barrier I'm trying to overcome! My entry for the contest, please consider it is it eligible? Thank you @lavanyalakshman for your participation and I appreciate that you also resteemed my post. I've noticed that you also resteemed my post. I appreciate your support so much. First of all i want to congratulate you for your designation as social media marketer / community manager. And i hope that you will get more amazing opportunities in future. And i want to appreciate you for this contest and keep up the great work. Please find my piece for this contest below. Great! Thx @chireerocks for your time and effort. I really appreciate. I noticed that you're mostly writing poetry and crypto doesnt seem to be your topic of interests. That make your effort even more valuable to me. I've looked into your project (Golix) and it does look interesting. I will contact you shortly. Hello @crypto.piotr good to see so much support for this project. Thank you also for resteeming this contest. You're so damn supportive. Hi dear @crypto.piotr Thank you so much for your generous donation. I hope that this also results in increased business for you too. I value the trust you have put into me… but when I set out to educate myself, I discovered a fascinating world of technology disruption and 21st-century finance in which supporters and detractors abound. But, I must keep my position of responsibility and honesty with you: I am not a crypto technology specialist, a financial industry lawyer, an economist or a cryptocurrency expert. I’m just a person who would rather live in this brave new world with some knowledge than ignore the crypto. Also, I want to say you how grateful I am that you are my friend. Your guidance and support has been amazing! Thank you for help to improve my country. The Venezuelans appreciate your wonderful initiative in this contest, your support and generosity. We are grateful for your kindness, loyalty and commitment to all of us. I really appreciate all the work you’ve done. Hi dear @crypto.piotr I express my cordial gratitude to you, for his beautiful words to me. Happiness is the art of never holding in your mind the memory of any unpleasant thing that has passed. A smile is a curve that sets everything straight and All people smile in the same language. I'm always happy to hear from you too. Thank you @mdominicorobin for your time and effort. Hi @crypto.piotr .here is my entry. Hi, I have a question though. In the video installation guide, is that the program that will be used by those who sign up? Is that the exact process? Or was it showing the process including editing the program? Am planning to join but I'm thinking I might do a video instead which is totally not the requirement. Are there other available sample videos or even diagrams on how to use it? It's not yet on Google Play Store right? It says it is in the whitepaper but can't find it there. Thought I'd see what it looks like or something. Hmmm I guess it's really really new and still being developed. I think I know what kind of article I will write for you. Am curious to know abt the system that will be used too. Would you mind giving me some time to find out all the answers to your questions? Since there is no way we could communicate privately on Steemit then perhaps you could drop me a short message to my email: promib.pl@gmail.com or provide me with yours? Currently my task is to promote Cotton Coin on Steemit and encourage writers to create their own review. And Im quite new in the team so my knowledge is still limited. Indeed it's a very new project and the reason why I decided to join their team is simple: I had a chance to talk to developers and CEO and that build my trust. I believe that solid team is always what matters the most. Im aware that there is so much work ahead of them/us and comments like yours are very valuable for us. No I did not get bored but the first and last one I wrote for was a contest where there wasn't any prize doled out so meh. First time I joined and wrote something but then it was for nothing. Am not sure if I should write anymore to be honest. 😁 But sure I can try again. I'm on steem.chat if you're there? Or yeah u can email me: artgirlforhire[at]outlook[dot]ph. Was planning on doing the article after I did the design but I'm out of time. Please don't pressure yourself. I still very much appreciate your support. Perhaps just try to get some rest. Thank you. I just did. 😊 Maybe I will join the next one because I like eco-stuff. Cotton coin seems good to write abt. What time zone should we follow for your contests by the way? I've almost missed your entry. Im sure I will like it and knowing you it's going to be real fun reading your post. Congratulation on your first sponsored contest @crypto.piotr. I hope you get more sponsors in subsequent time. For this contest, this is my entry: https://steemit.com/contest/@sandraodozi/cotton-coin-decentralizing-the-textile-industries. Thank you. I've noticed that you're very new on steemit. Hope you will stick around . Wow! Im highly impressed @nachomolina. Such a long article and in two languages. I presume that you're from Venezuela. Hope life isnt to hard on you. Im very sorry to see what your country is going through. This participation I do with much feeling as the issue of the cotton crisis leaves me impacted! Just wanted to thank you for your constant support. Im glad to see your entry to my little contest. I want you to know that I really appreciate your time and effort. Hello my friend, tried to put a little something together. Good luck in the journey ahead. 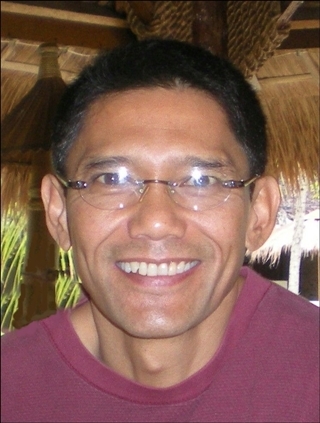 Im not very strict with timing and I will make sure that your article will be also accepted. I appreciate your effort. I didn't simply participate. I'm actually very interested in the project and I'm following it up even on discord. Sure to invest in it. Good luck for you in this project.! Hi @crypto.piotr, I know that in Malaysia (GMT +8) there is 1 July already, but in Poland there is 30 June, so technically I am on time haha! And I have to say that this is the first post that I resteemed on my profile! I appreciate it a lot! You're the man! Thanks for joining my little contest and also for resteeming it. I appreciate it a lot! Thank you for your constant support mate! You're the man. I found Cotton Coin to be a valuable proposition for blockchain technology. Hopefully it will inspire others to think differently about cryptocurrencies. Here is my entry. thank you for your entry. I also noticed that you've resteemed my post. I appreciate it a lot. Sounds really promising and interesting. I will do well to submit my entry. Im sorry for such a late reply. Somehow I've missed your comment and I just read it a moment ago. Im glad my post made you interested and hopefully you will decide to join my little contest :) you've 2 more days. I would be glad if you could spent some time and write your own review. Either way thank you for your comment and support. This is a nice one. I think I will participate in the contest and hope to support you in any little way I can. So, expect my entry. Thank you @focygray for joining and also for resteeming my post. Congrats on your first sponsor, I'm certain it's simply the start of awesome things to seek you. May you be extremely fruitful in this undertaking, buddy. Gratitude and thanks in order for considering! Thank you for your kind words. I also noticed that you've resteemed my post. I appreciate a lot. I think we should give reviews and also appreciate to the whole steemit's community those who are writing positive content like you towards blockchain technology, cryptocurrency etc. I also would love you to be part of this contest. I hope to be able to read your own review. 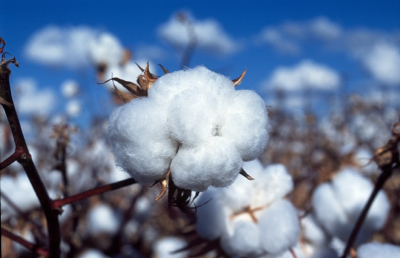 @crypto.piotr ,I really appreciate that you are really doing a great job and I also have sort of knowledge about cotton . Actually, i belongs to shirting industry(family business) so I learn practically as well as theoretically . I will surely share my point . I read your previous posts you really have done well @crypto.piotr . I will be glad to learn with you and explore that crypto world. Hope to hear from you soon :) Will love to read your review about Cotton Coin. There is no need to apologize. Im fully aware that we all have our own lifes and responsibilities. Thank.you Sir,please notify me when you are having another contest.Last night I wanted to write but when.I lay down on my bed I forgot the world for a while.My mom is in her dialysis in Philippines and I.am here in Saudi Arabia working as household helper.